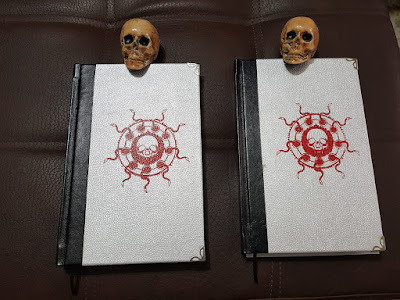 QLIPHOTH opus VII "Typhonian Erotognosis"
The ethos of the typhonian calls, has risen from the vaporous towers of erotocomatose rituals of LIM ASH KAMAT,and through the liminal fire, Qliphoth opus VII emerges including 140 pages, with essays and colorful illustrations. The companion book to “In the Shadow of the Watchtower, Enochian Grimoire Volume 1,” Dark Fruit shares the experiences that occurred during the exploration of Enochian Magick by a group of intrepid explorers. 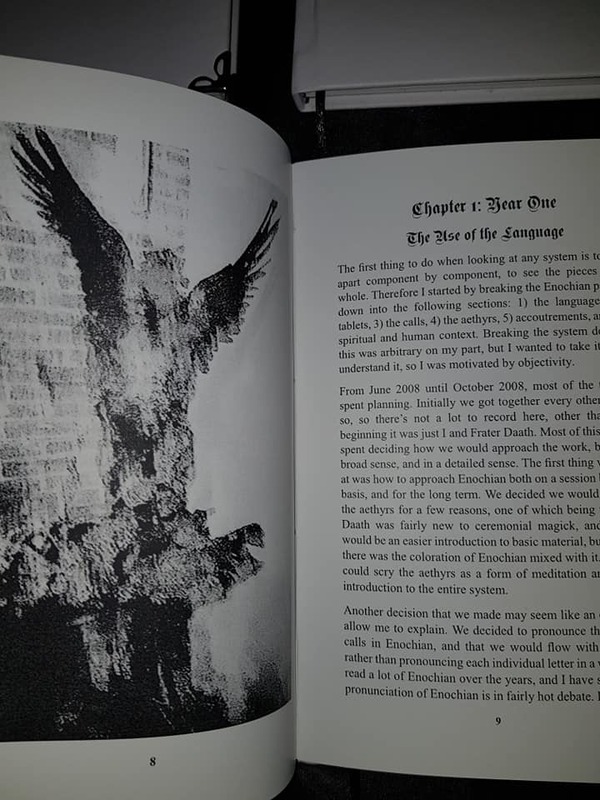 Specifically, it focuses on the events that occurred when the Enochian system from the first volume was implemented. 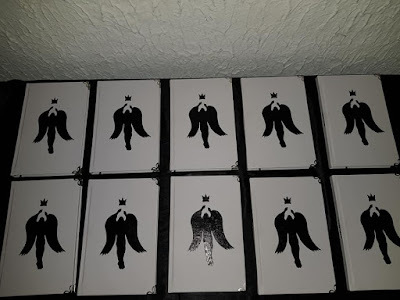 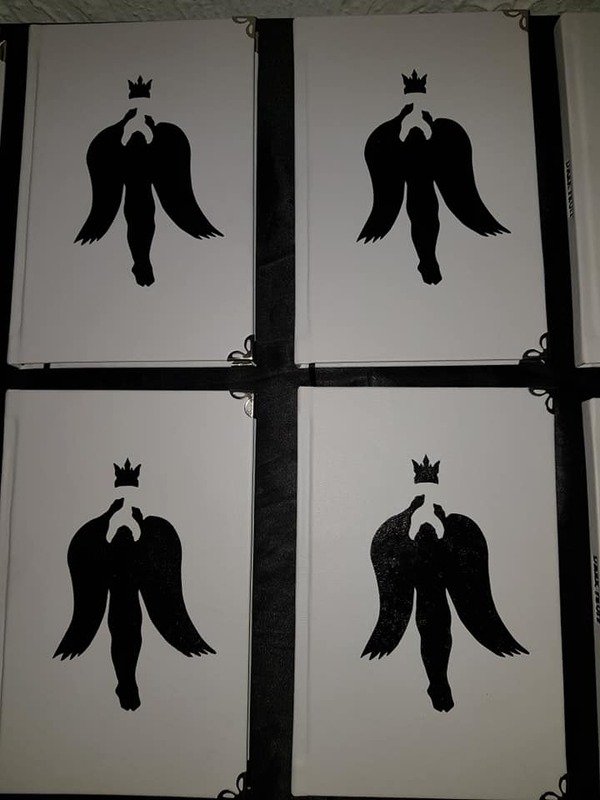 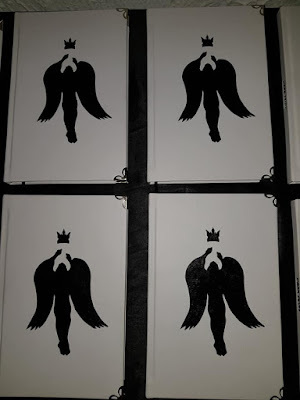 Limited to 49 copies, this book is a collection of images, stories, gnosis, and initiations that serve not only as an introduction to this newly discovered Enochian material, but is also a glimpse into the magical record of a working Enochian group. 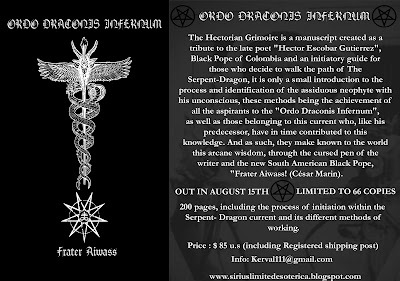 Published by Sirius Limited Esoterica, this quality book takes the reader on an adventure into the unknown, and offers an intimate look at this material. 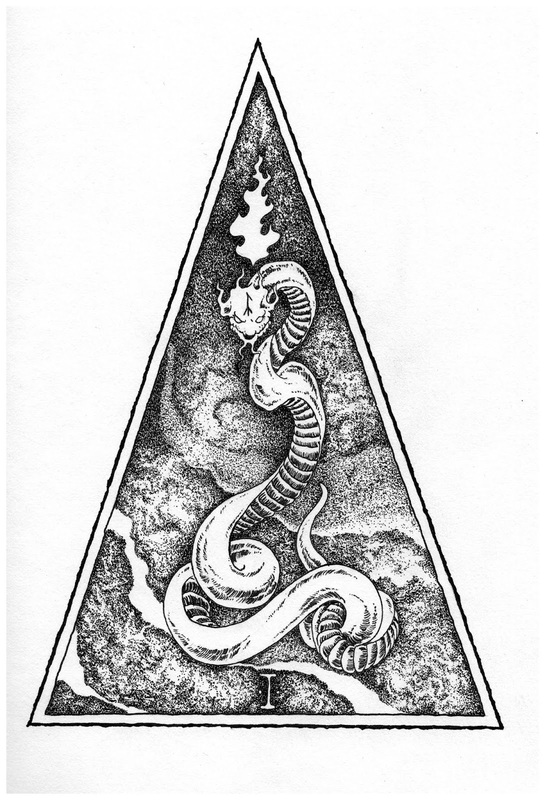 Sabbatica emerges as an exposition of spectral seals ,opening the astral paths of sorcery and magick. A convocation of a series of massive volumes,conjoined in arcane gnosis in order to evoke the primal path, that lead us to sacred knowlege pouring forth from secret vessels of sabbatic mysteries. 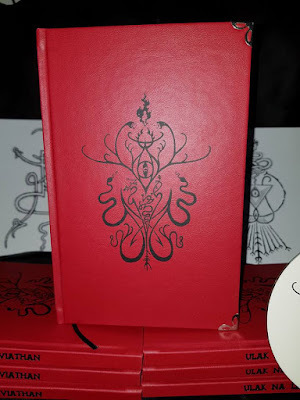 SABBATICA is a massive volume available in Artisanal hard bound leather edition and full leather edition. 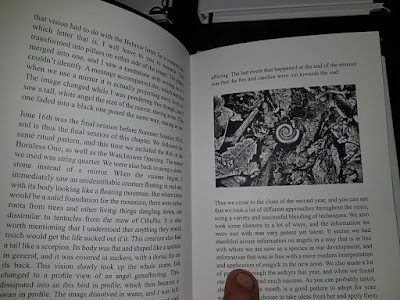 All beautiful pieces including in depth essays,praxis/ritual,arcane poetry. These suggestive, illustrative and revealling pieces offer you the entrance to the great sabbat filled of oneiric visions and secret mysteries. This grimoire is an in-depth voyage to the waters of death, moving from anthropological to psychological and to the most hidden roots. 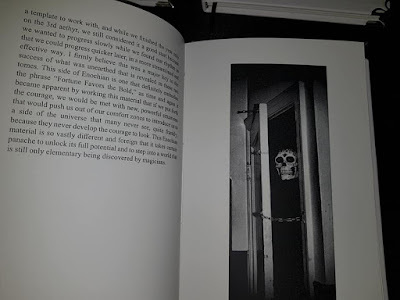 Focused on the deep study, Praxis and development of the patron of death, death deities, and necromantic rituals. 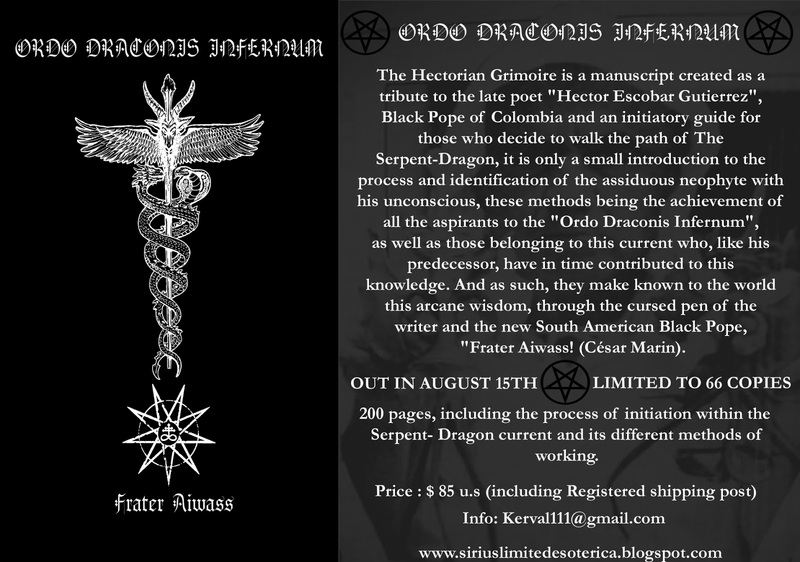 This anthology offers a unique amalgamation of contributors,each offering all of their knowledge within the pages. 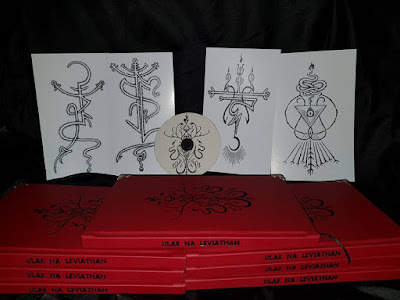 The third volume in a series of grimoires that will open a pathway of instruction to powerfull fetish rituals, death devotional chants, and invocations dedicated to death deities, necromancy and other in depth explorations and its transgressive nature veiled through knowledge. Deluxe Edition comes in full Goatskin leather and white leather and includes an artisanal skull. and also a ritual cd. This Grimoire represents the embodiment of divinity from the primal temples of the serpent goddess Ulak Na Leviahtan. 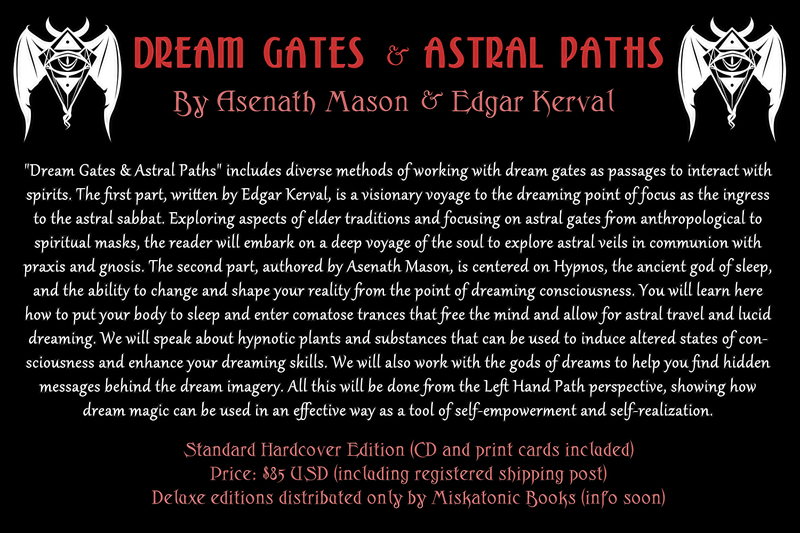 Offering an extensive praxis though the ancient ancestral cult and its points of ingress,through an initiatic system of 7 astral gates focusing into sinister alchemy and dream path sorcery as principal points of nexus to the transmission of the sacred arte revealed here. 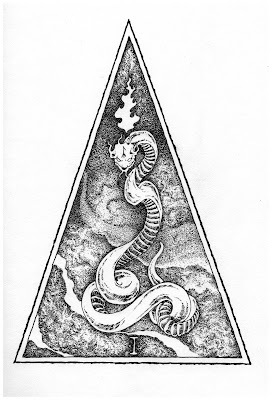 hidden epistles and automatic litanies ilumines the adept to reach the neither- neither sphere of translucid reality through the cult of the black serpent.